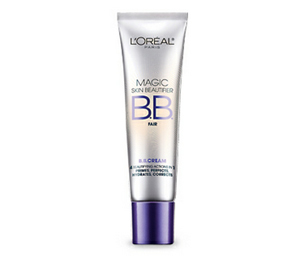 If I must rave about one product this month, it has to be the L’Oreal’s Studio Secrets Professional Magic BB Cream! It’s been on the market for a little while, but we here at LVS just got the chance to product review it. It’s a smooth skin finish that leaves your face feeling silky with no harsh lines or cakey residue. The product say’s that it will do 4 things: Prime the skin, perfect it, hydrate and correct it. This BB cream comes in 4 shades that blends perfectly into different skin tones. The shades from lightest to darkest are, Fair, Light, Medium and Deep. Prices range from $10-$12 depending where you purchase it. You can easily find this product in your local drug stores such as CVS, Target, Walmart and Wallgreens. Disclaimer: We here at LVS do not claim to work or promote for L’Oreal. We are simply sharing our own personal, honest opinion’s about products we use and enjoy.